SIERRA Offroad TJ soft tops are designed as exact fit factory replacements. 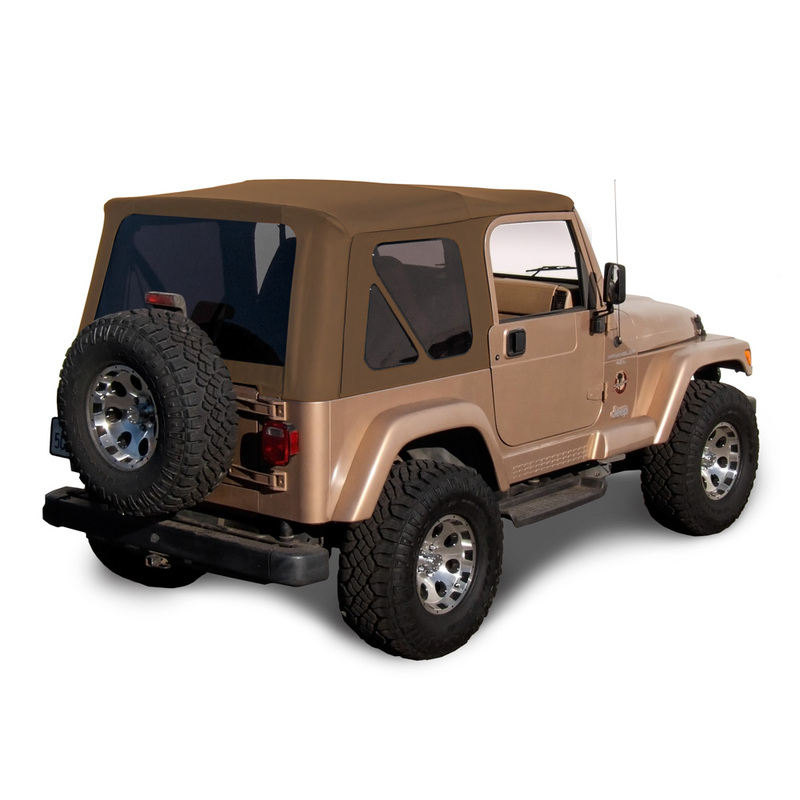 Earlier model (1997-2002) Jeep Wrangler frames are not the same size as later model (2003-2006) frames. 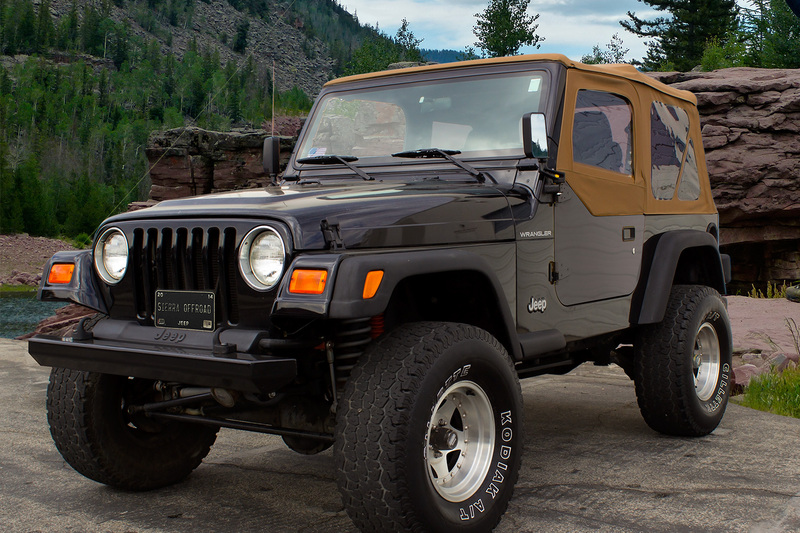 Although the “one-size-fits-all” approach for 1997-2006 Wranglers makes it easier for the distributor supply chain, because of fewer part numbers, it requires the Jeep owner to compromise on the fit. Sierra Offroad takes a different approach. 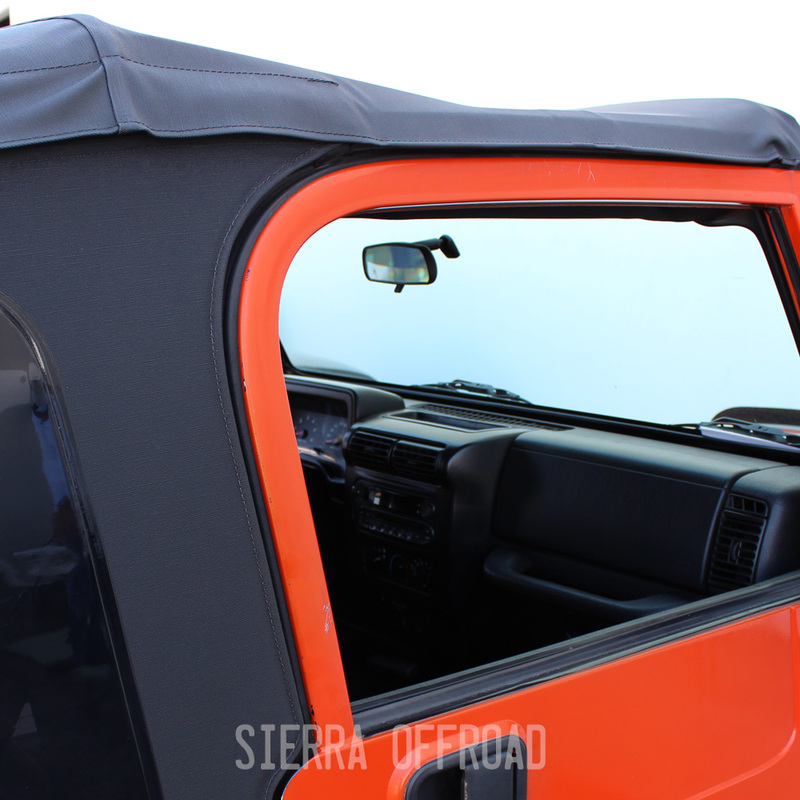 Sierra provides great fitting Jeep Tops designed to the original factory frame by model year. 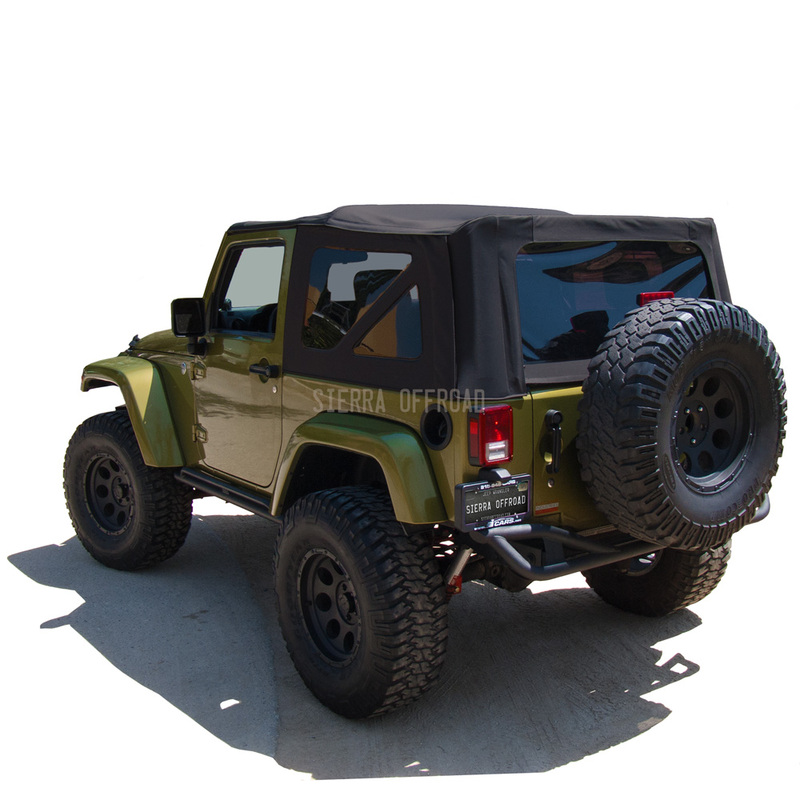 Sierra Offroad tops are designed by the same master pattern makers that produce the patterns for their Rolls Royce and Bentley tops. 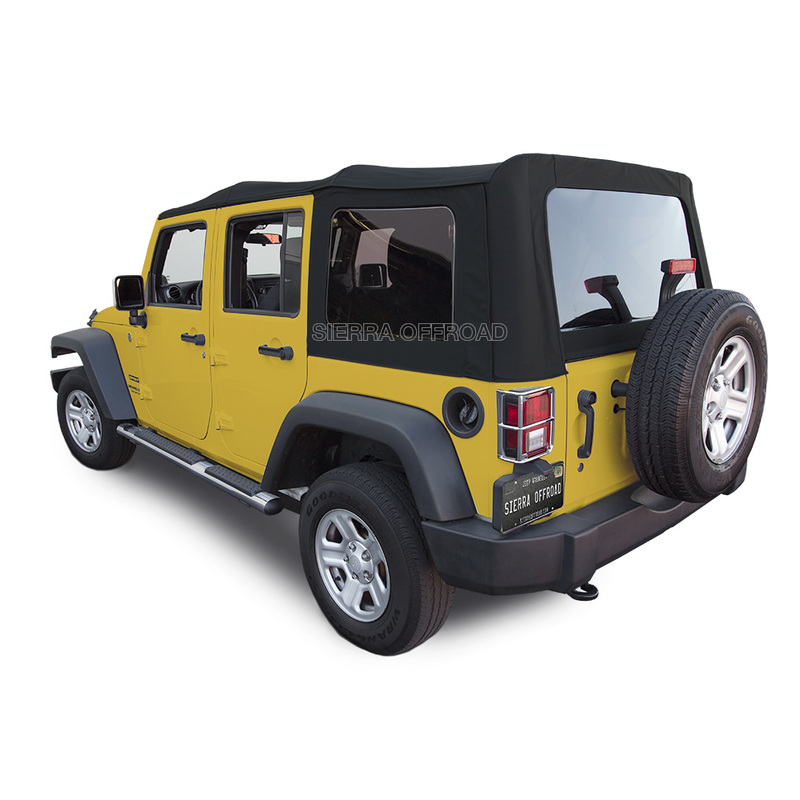 Hundreds of hours were spent in making sure their Jeep tops fit exactly to the year and model. No “one size fits all” compromises. And, special attention was paid to ensure that all the best OEM features are included. SIERRA uses only the highest quality materials and hardware and their engineers continuously monitor the production process to make sure exacting standards are being met. 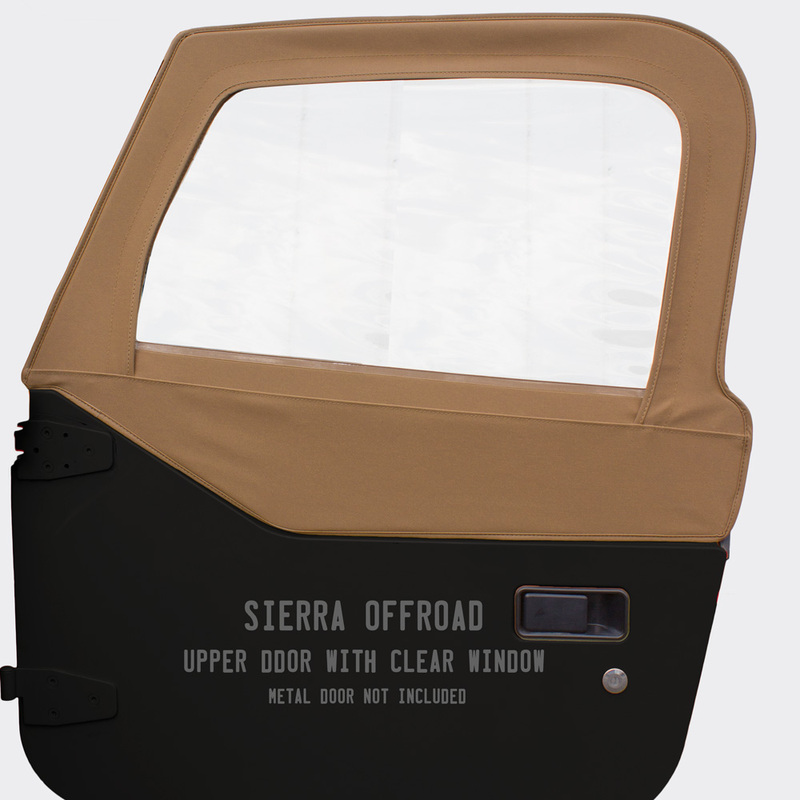 This attention to detail insures that a SIERRA OFFROAD top will provide years of trouble free service. 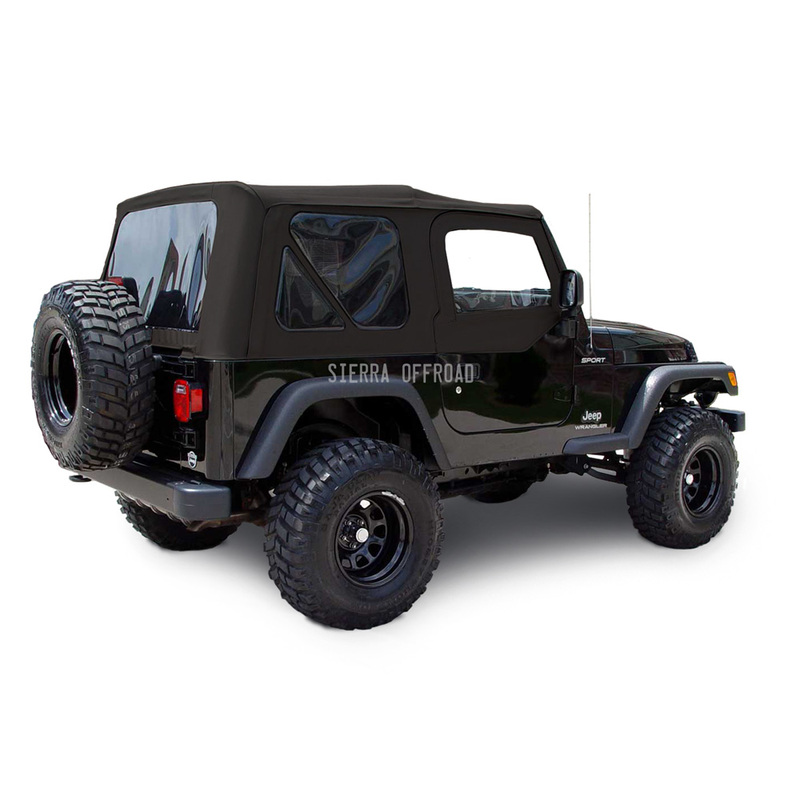 This Jeep Soft Top is designed to replace 1997-2002 Jeep Wrangler TJ Factory Soft Tops. These are for TJ’s with soft upper doors. 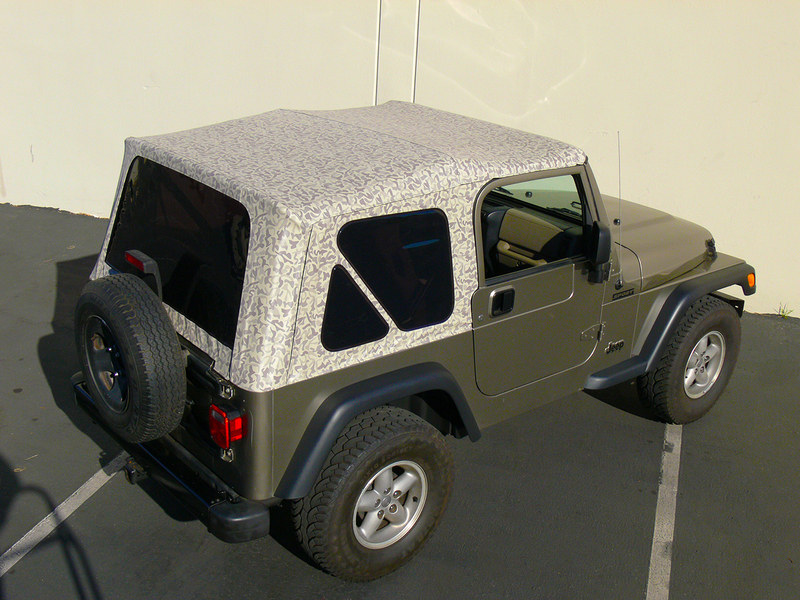 Sailcloth is the original topping material for the new JK model Wrangler. 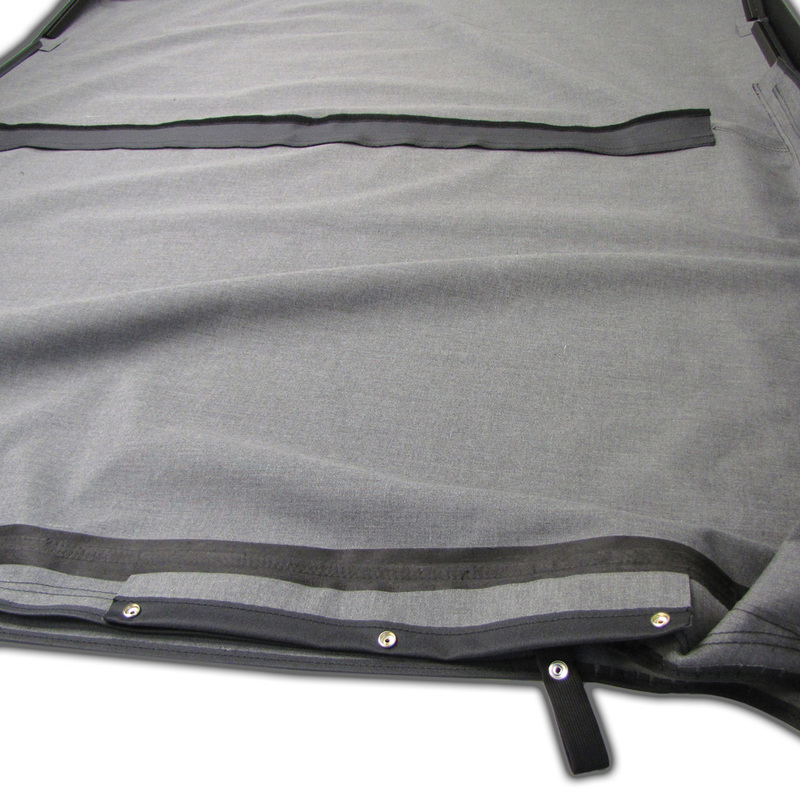 Sailcloth has superior performance characteristics and will last considerably longer. As well, Sailcloth has enhanced acoustic properties that lower the noise levels at highway speeds. 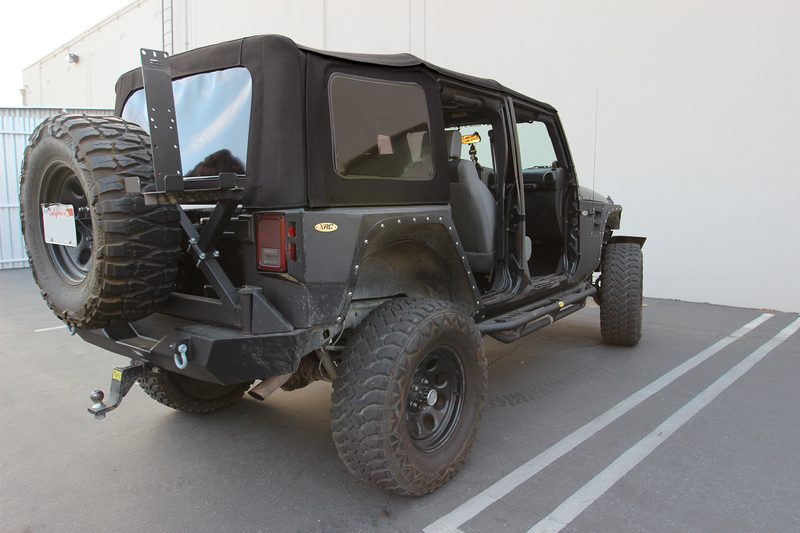 This article was posted in Marketing and tagged soft top, tj wrangler.